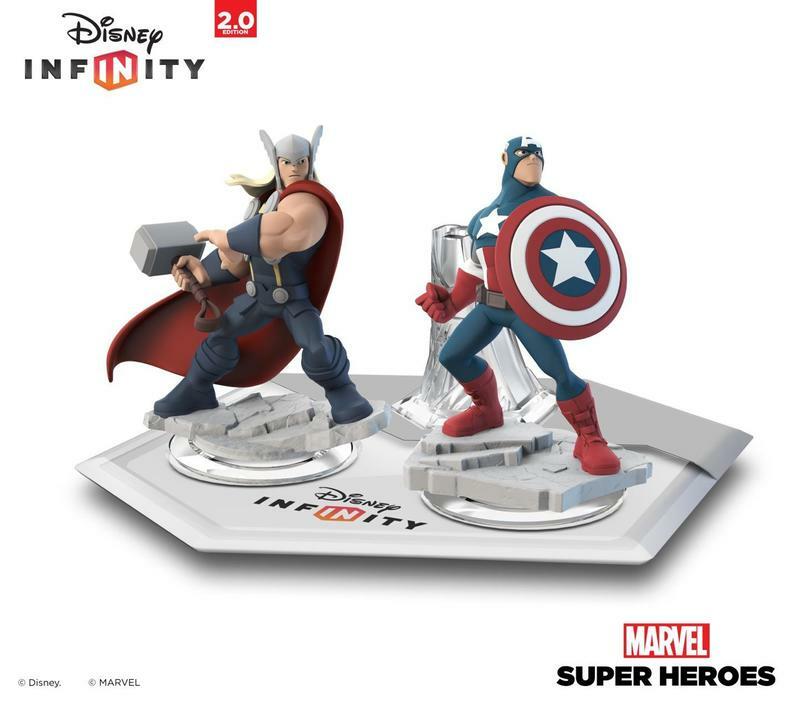 Disney Interactive took the wraps off of Disney Infinity 2.0 today, and, as expected, the Marvel Super Heroes are on their way. 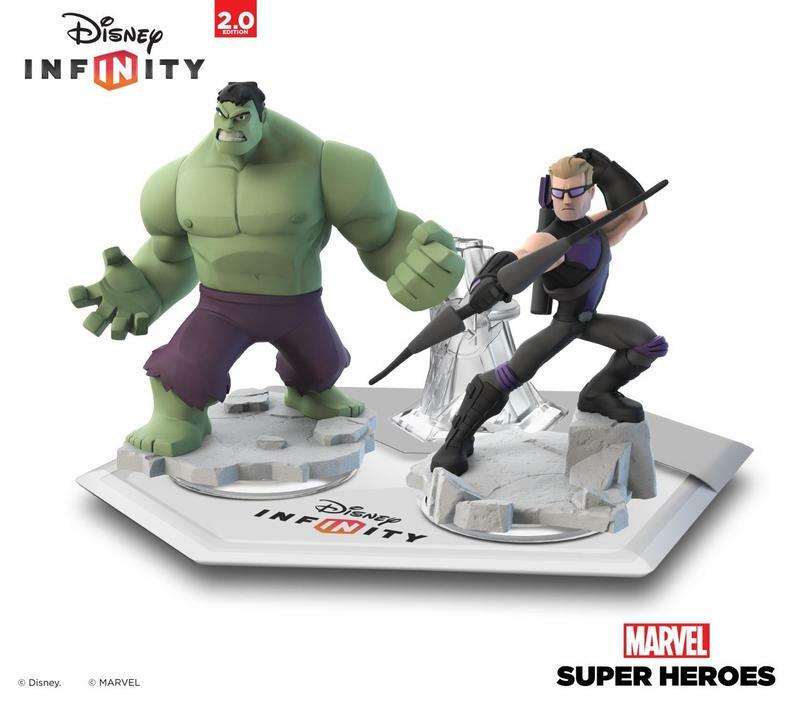 Clark Gregg, better known as Agent Coulson on Agents of S.H.I.E.L.D., took the stage today to introduce numerous Disney Interactive and Marvel personalities, and to talk about the fall release of the 2.0 expansion of Disney Infinity, Marvel Super Heroes. 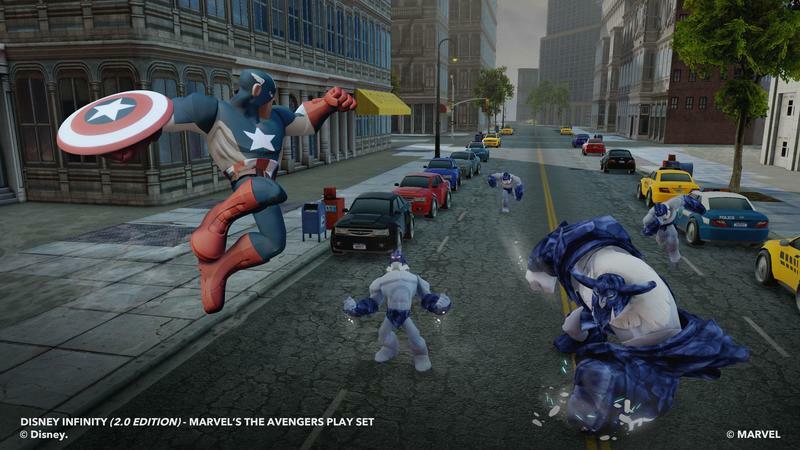 While it was stressed that the expansion will not focus solely on the Marvel Super Heroes, they were the focus of today’s event to be sure. 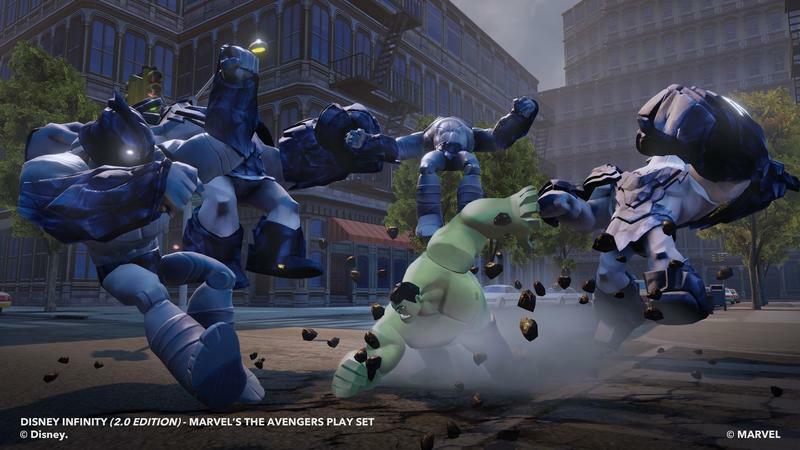 Only six characters were confirmed by the appearance of their figures on stage: Black Widow, Captain America, Hawkeye, the Hulk, Iron Man and Thor. 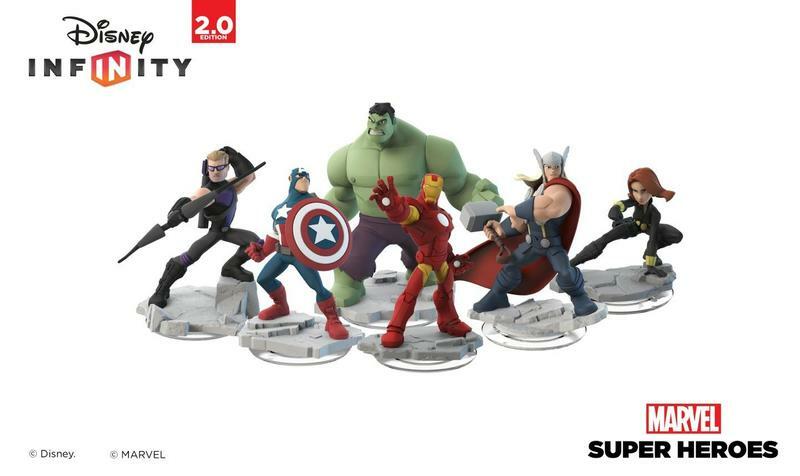 In the video released along with the events, other characters spotted that will potentially also be receiving figures included Nick Fury, Loki, Groot, Rocket Raccoon, Spider-Man, Green Goblin and the very odd choice of M.O.D.O.K. 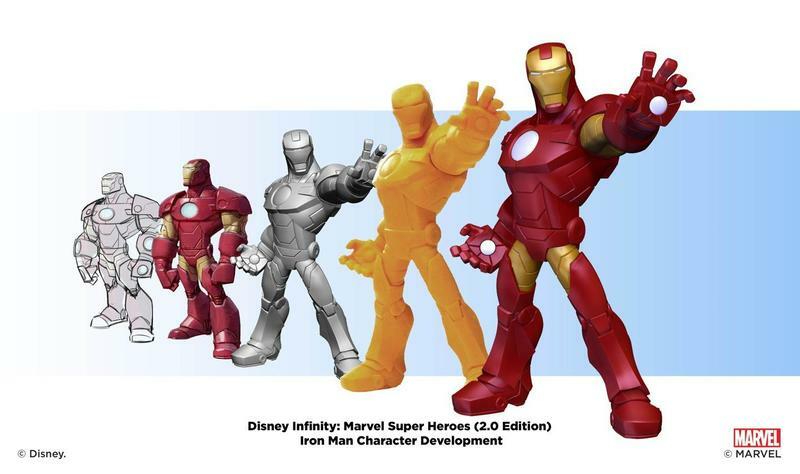 It was said a dozen more figures would join the line, so it seems as though these are all safe bets to be amongst those 12. 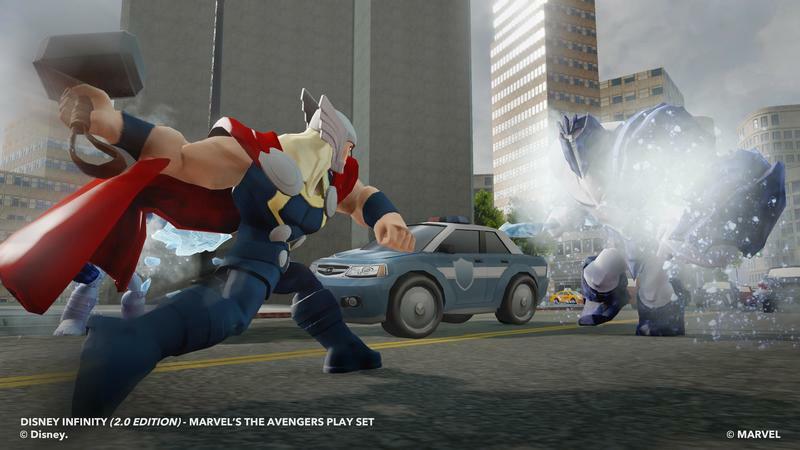 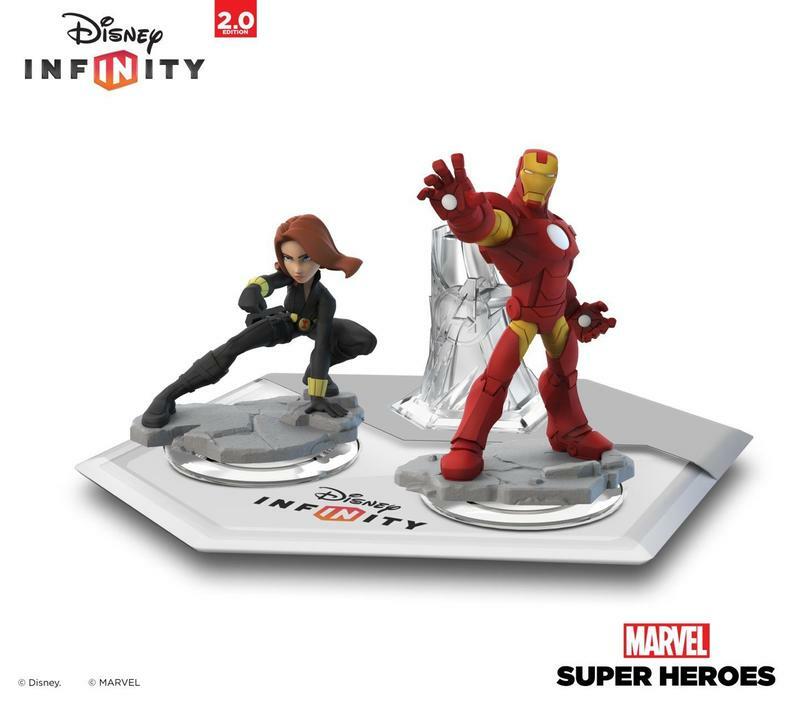 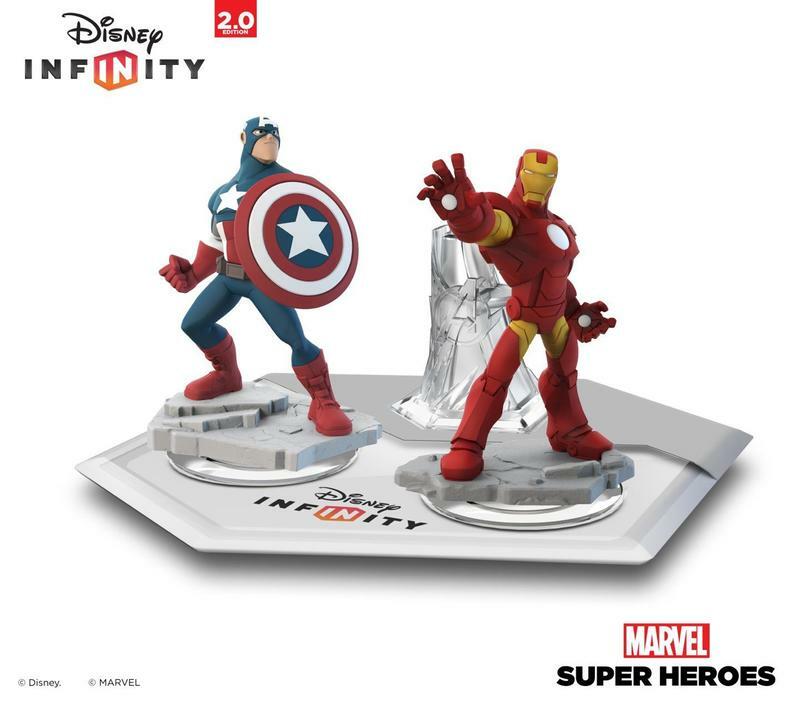 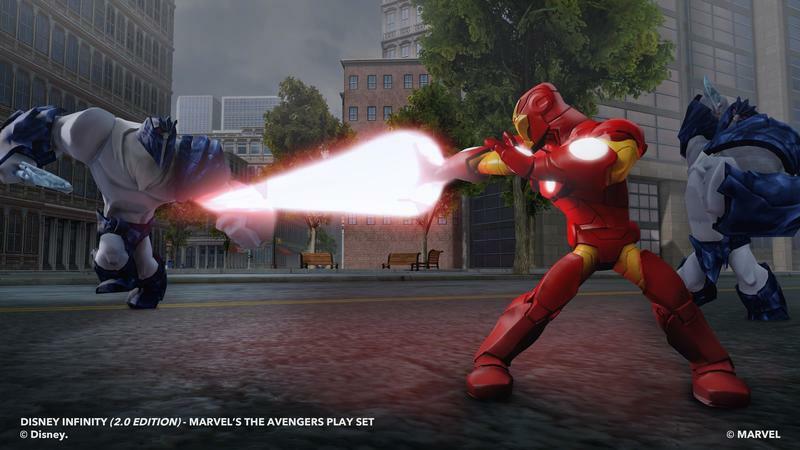 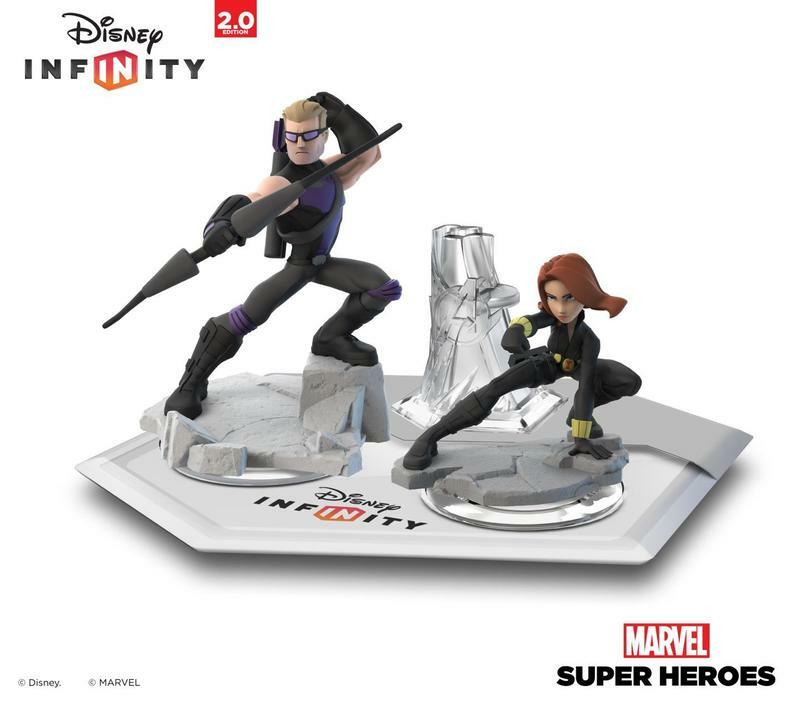 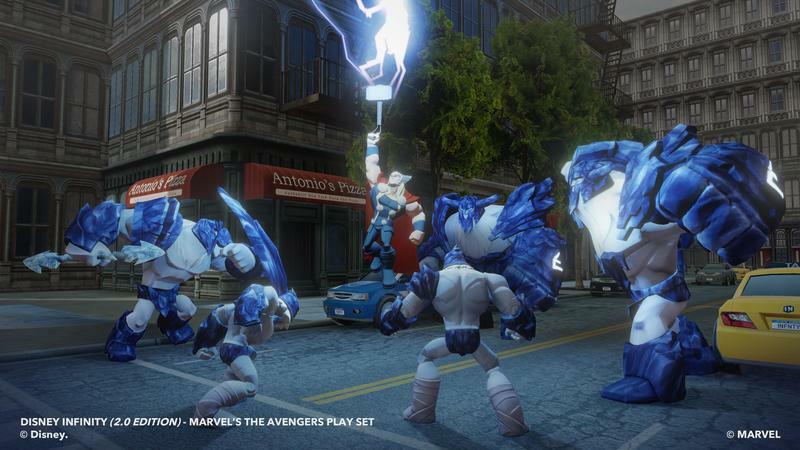 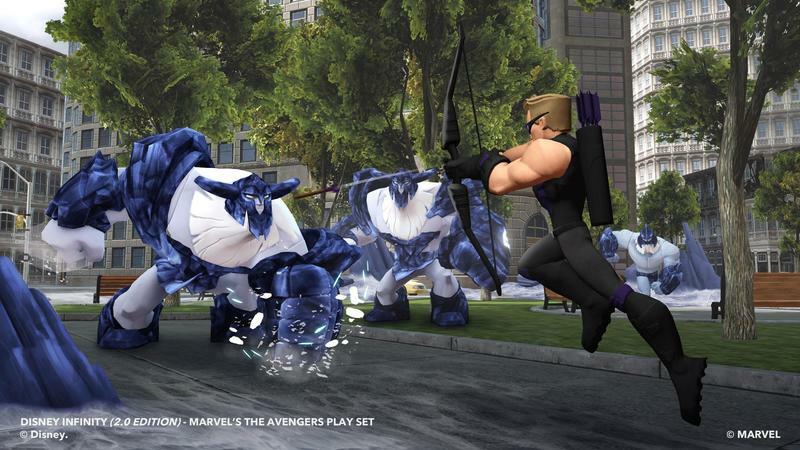 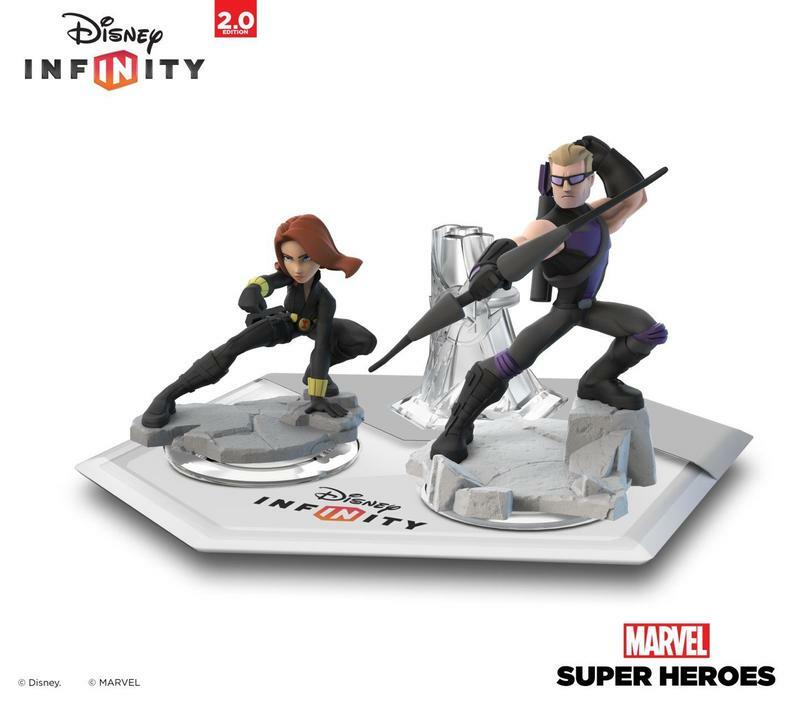 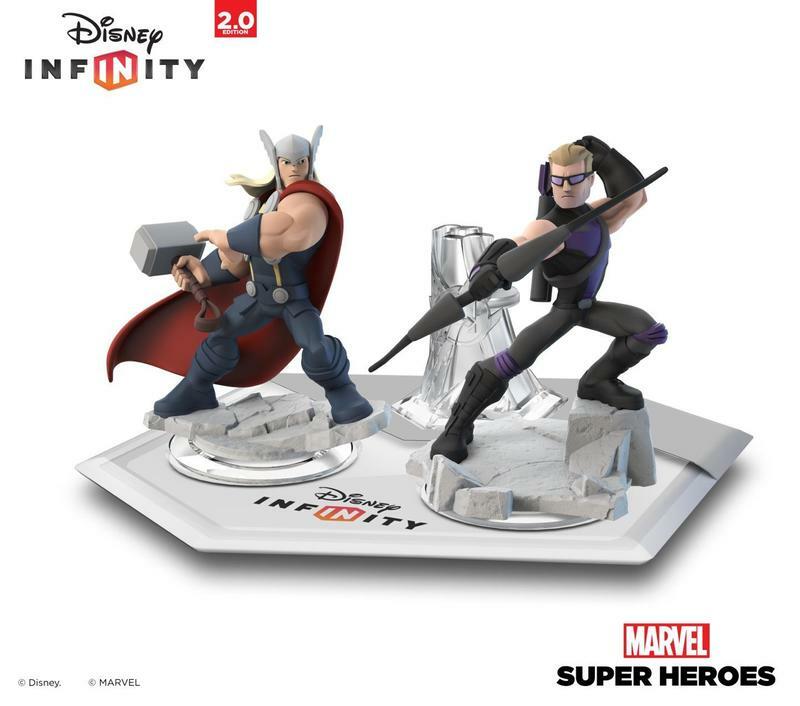 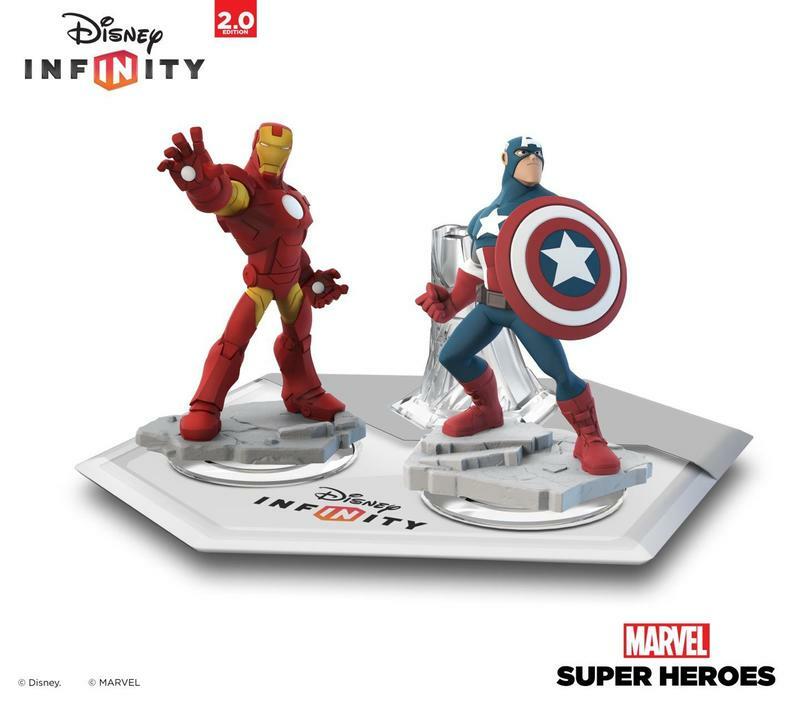 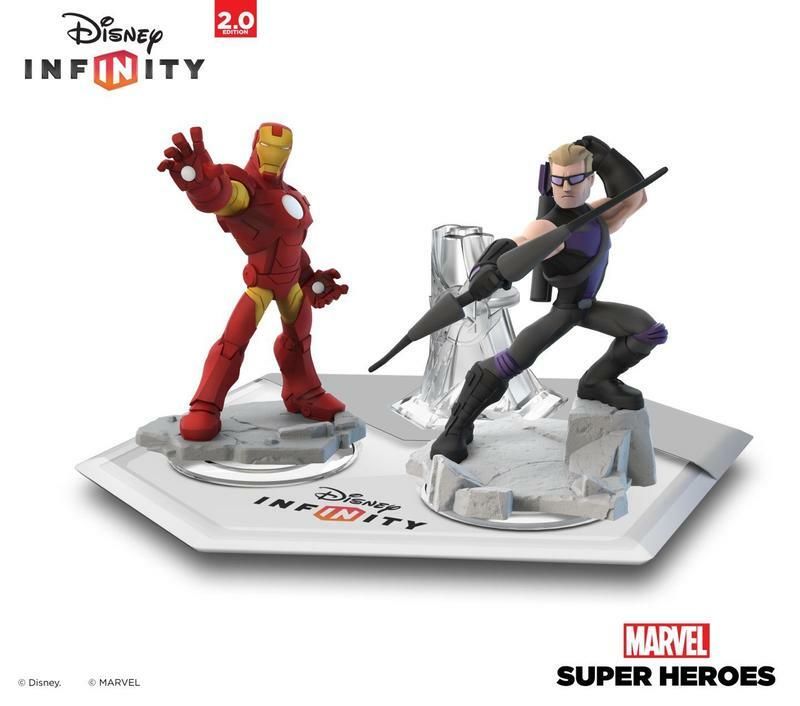 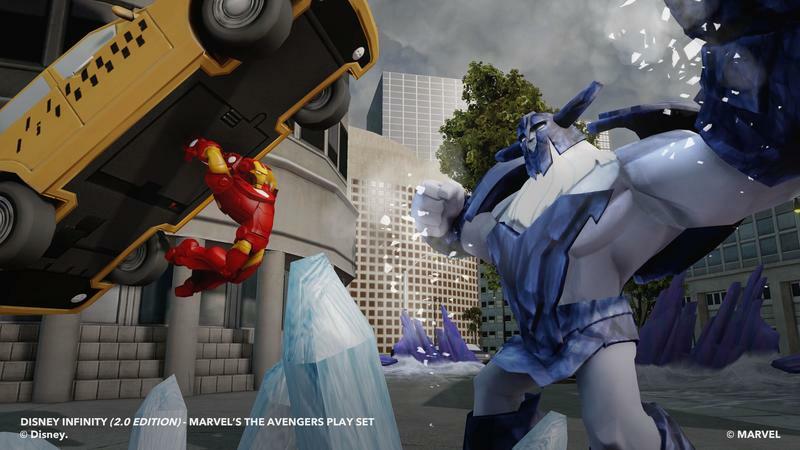 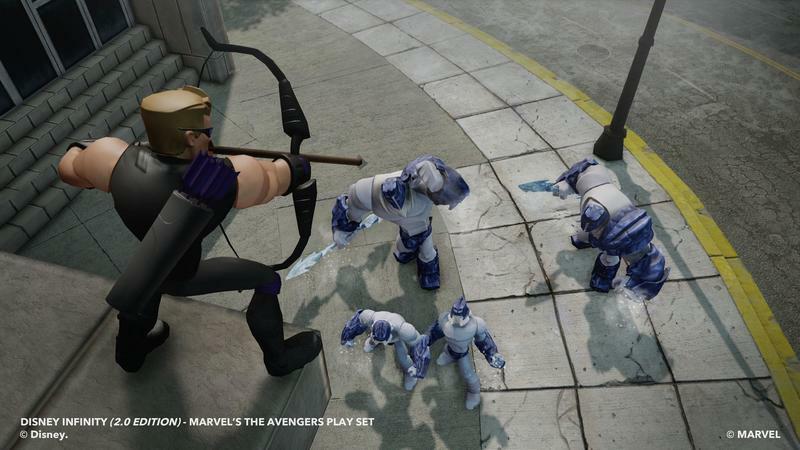 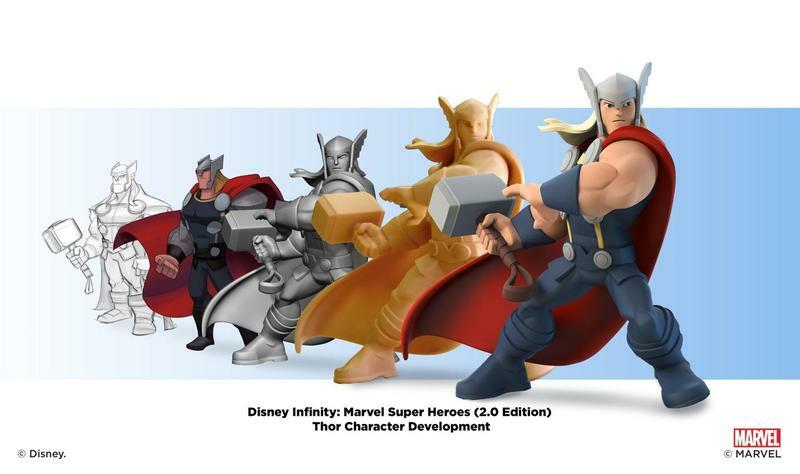 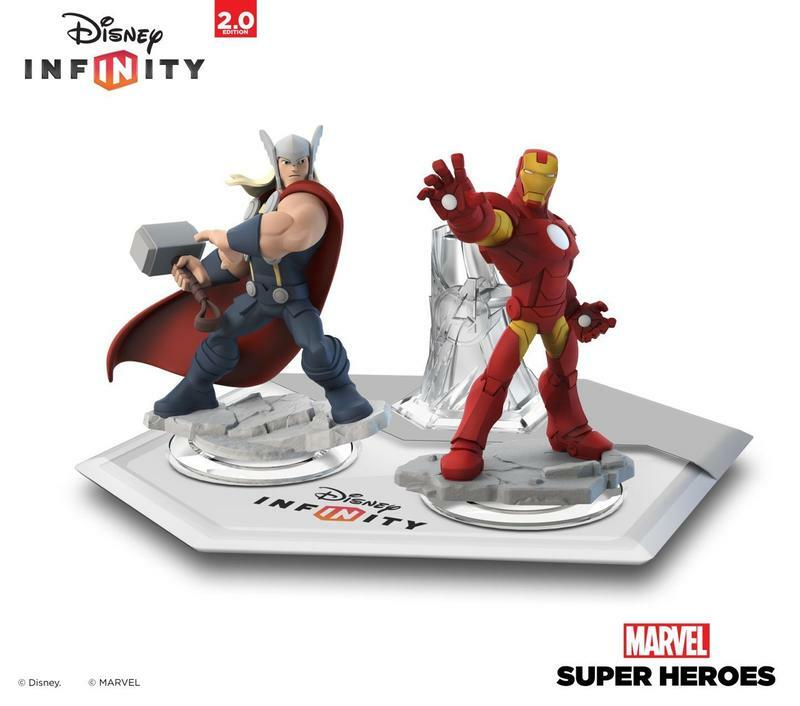 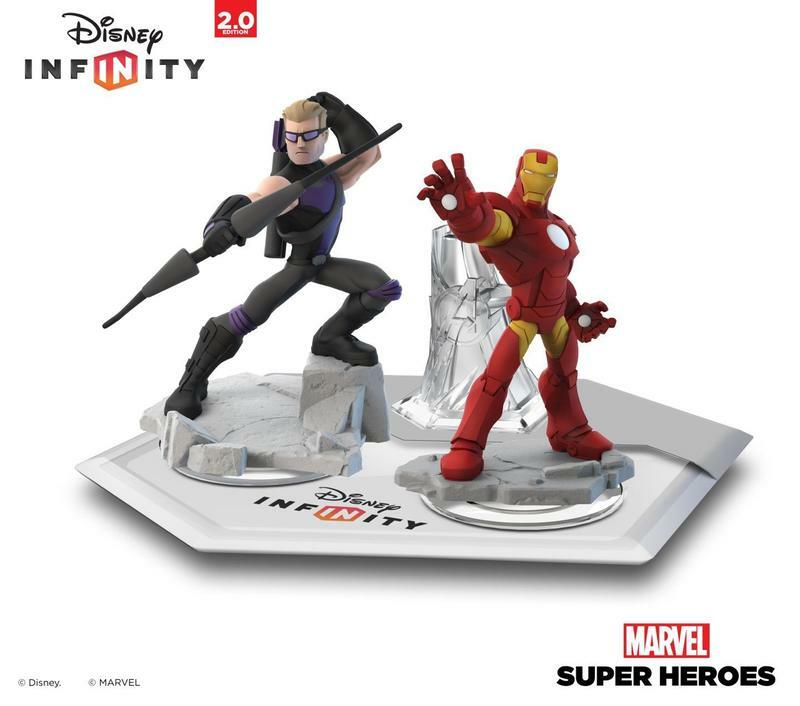 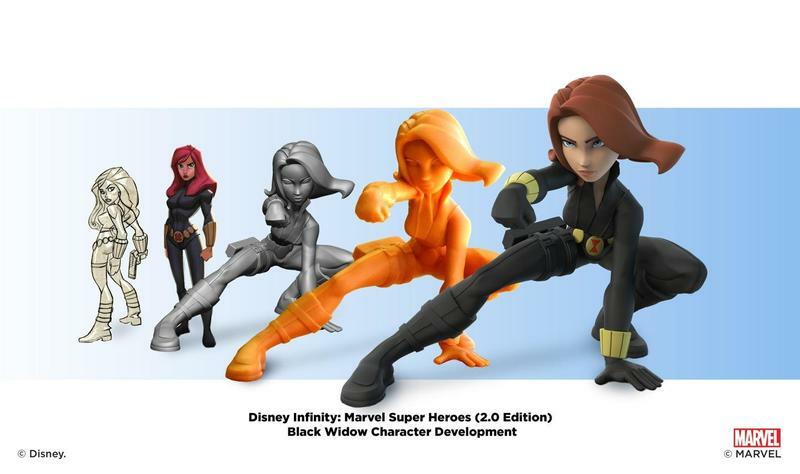 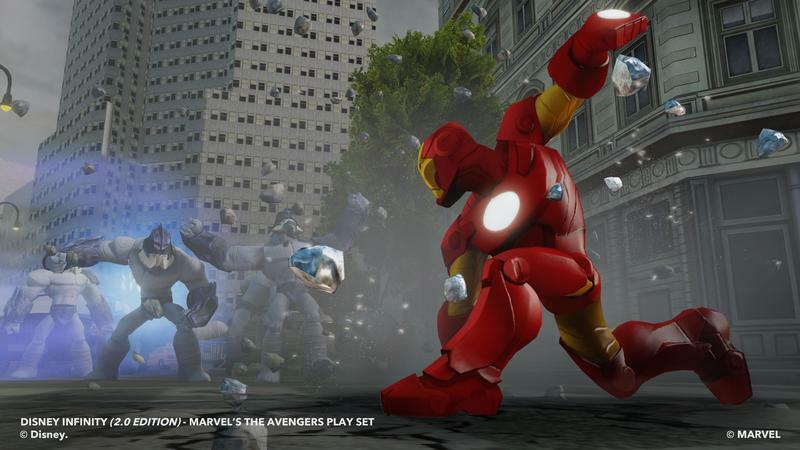 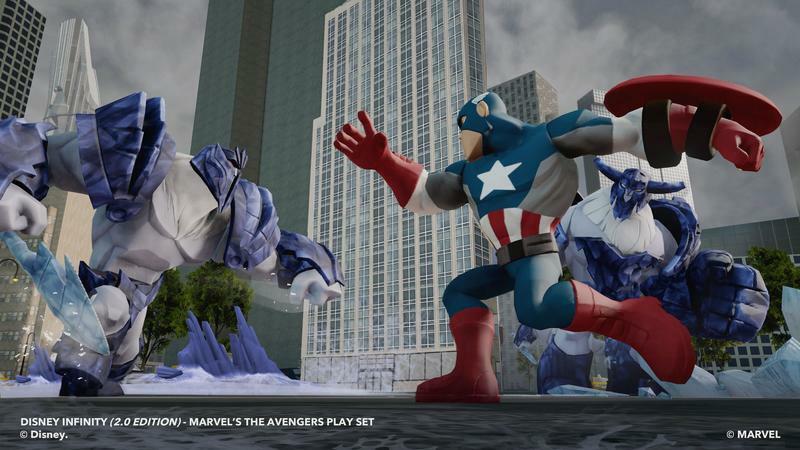 Beyond adding the Marvel Super Heroes figures to the series, the team from Avalanche – the designers behind the game – said there are a lot of changes coming to how the figures play in Disney Infinity 2.0. 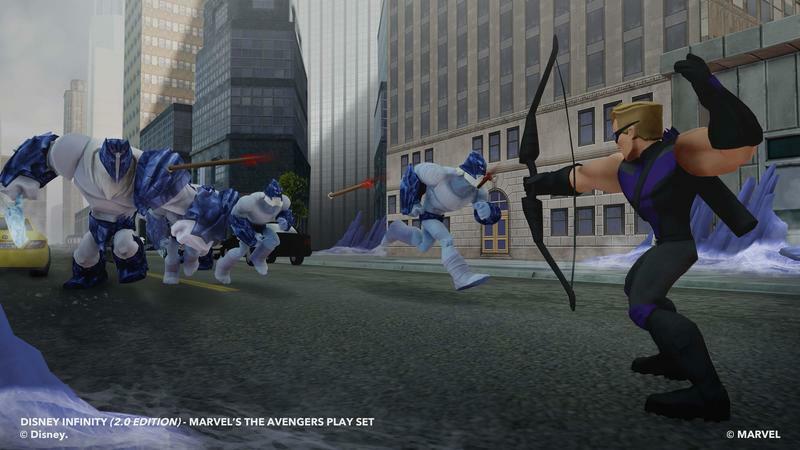 They will no longer feel like the same character with different looks, and the heroes have distinctly different powers. 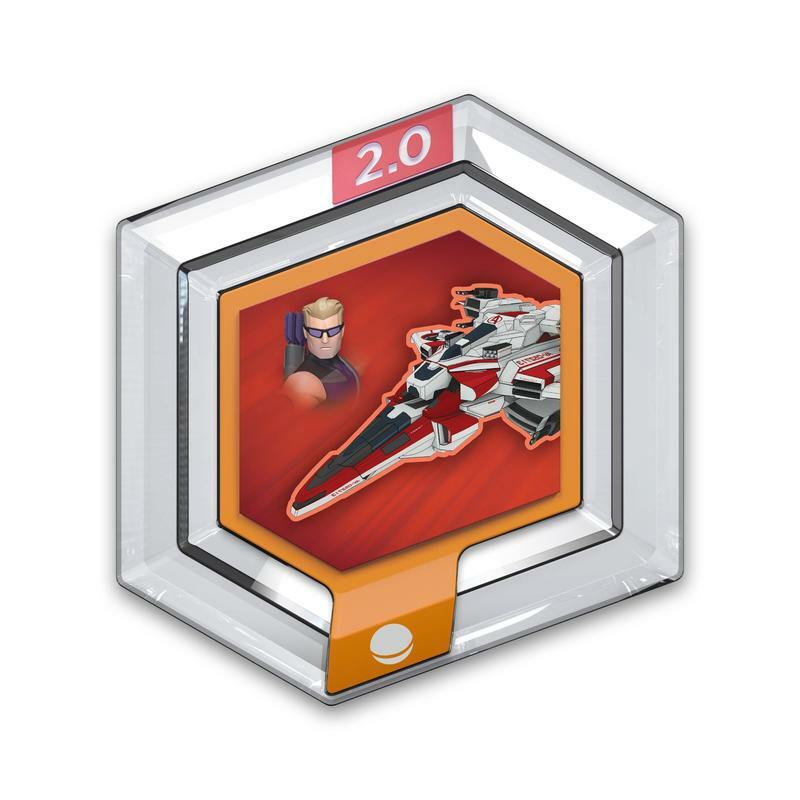 The leveling up is now capped at level 20, and you will also work on different skill trees so you can upgrade your characters as you want. 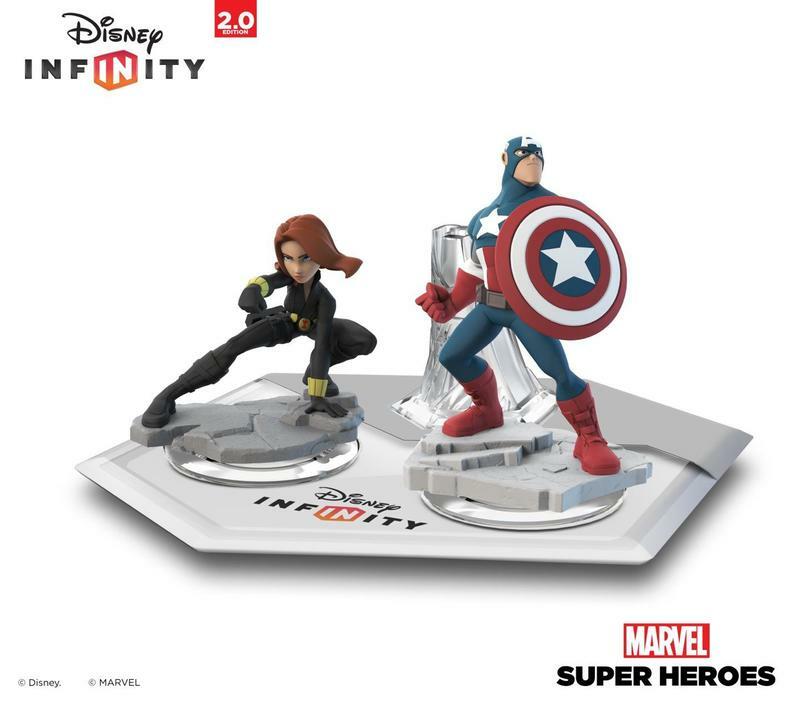 With the launch of Disney Infinity 2.0, of course the big concern is if your original figures, discs, Infinity Base and saves would be compatible. 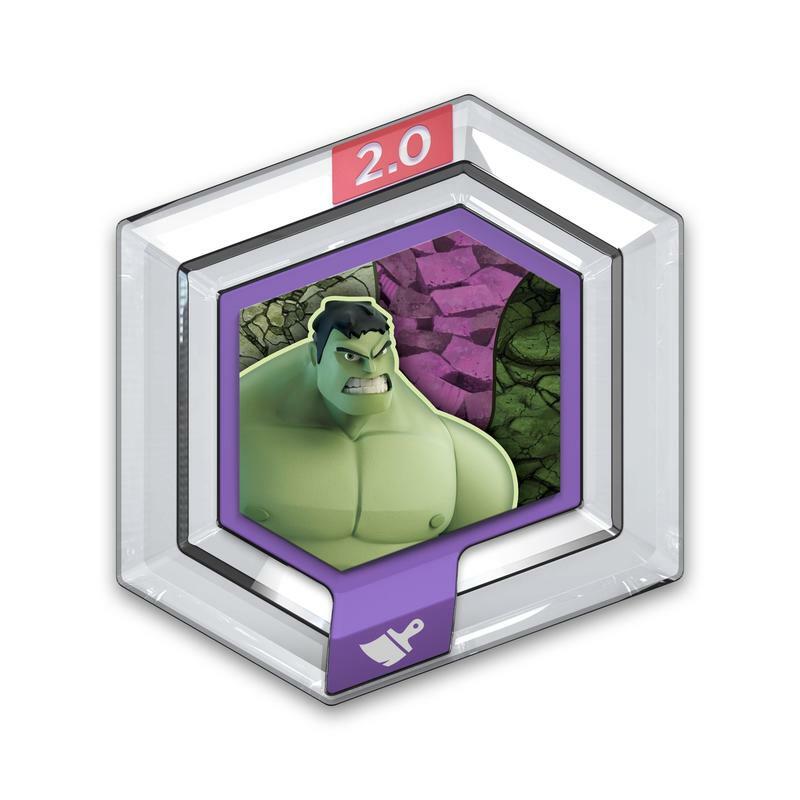 It was confirmed that everything from 1.0 will indeed work with 2.0, so you won’t be losing any of your information, progressions and so on. 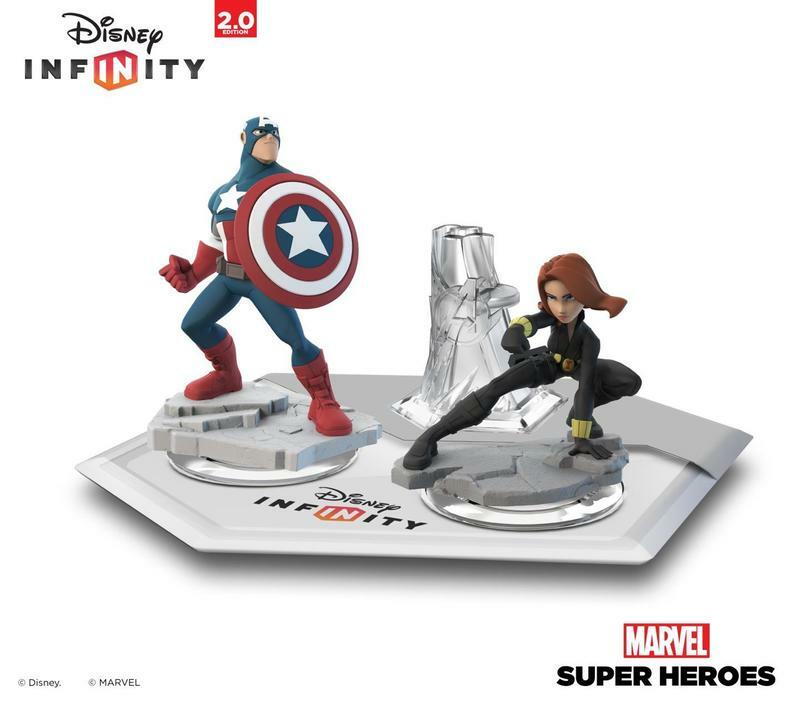 Beyond the new figures, Disney Infinity 2.0 will be receiving some upgrades to various aspects of the game, especially the Toy Box. 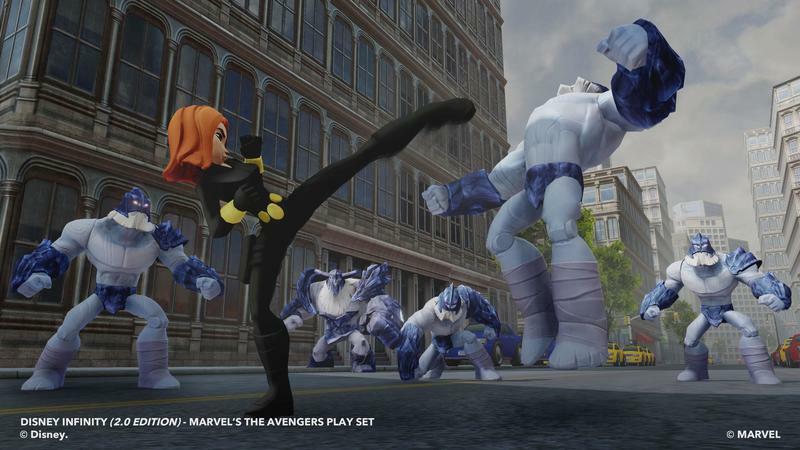 Beyond just beyond being able to create and download worlds – 10 million have been downloaded thus far – there will now be mini-games like tower defense and dungeon crawlers for you to play with your figures. 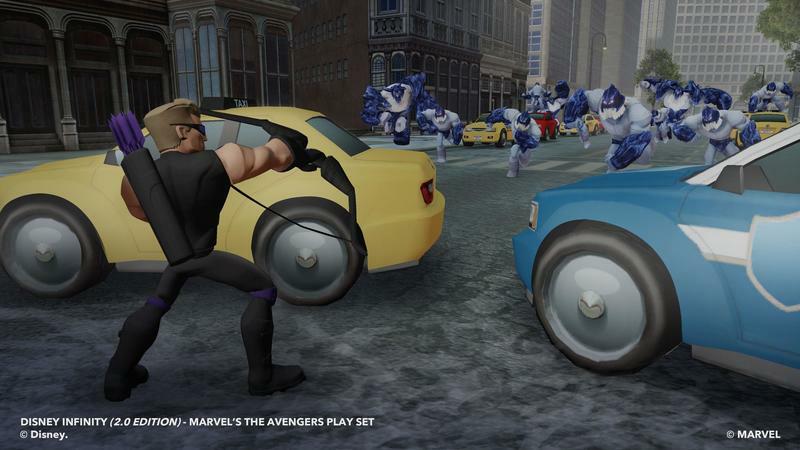 World creation will also be made considerably easier with the addition of “brushes” that will allow you to define how large you want an area to be; you can then use settings such as city, race track, forest and so on to fill in the area automatically. 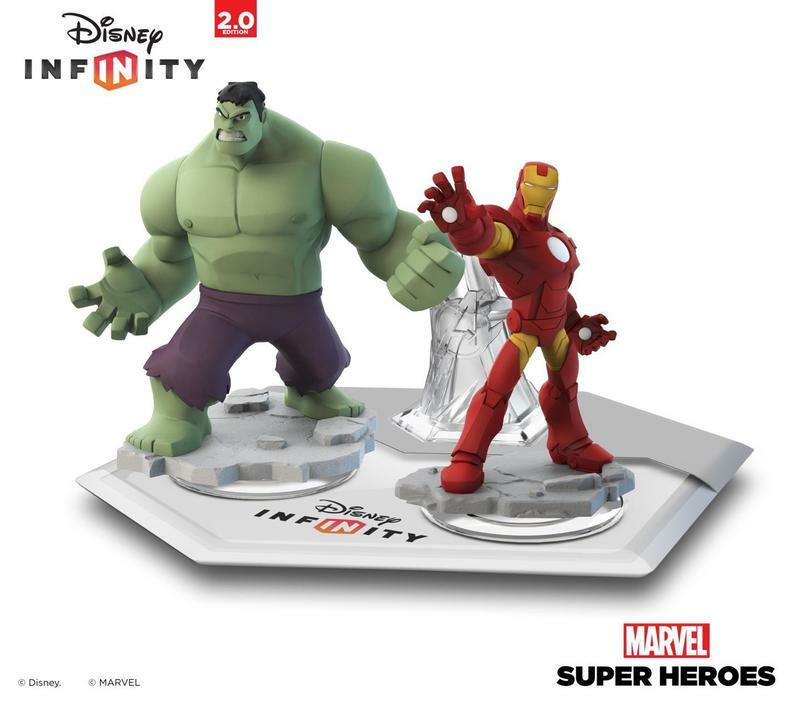 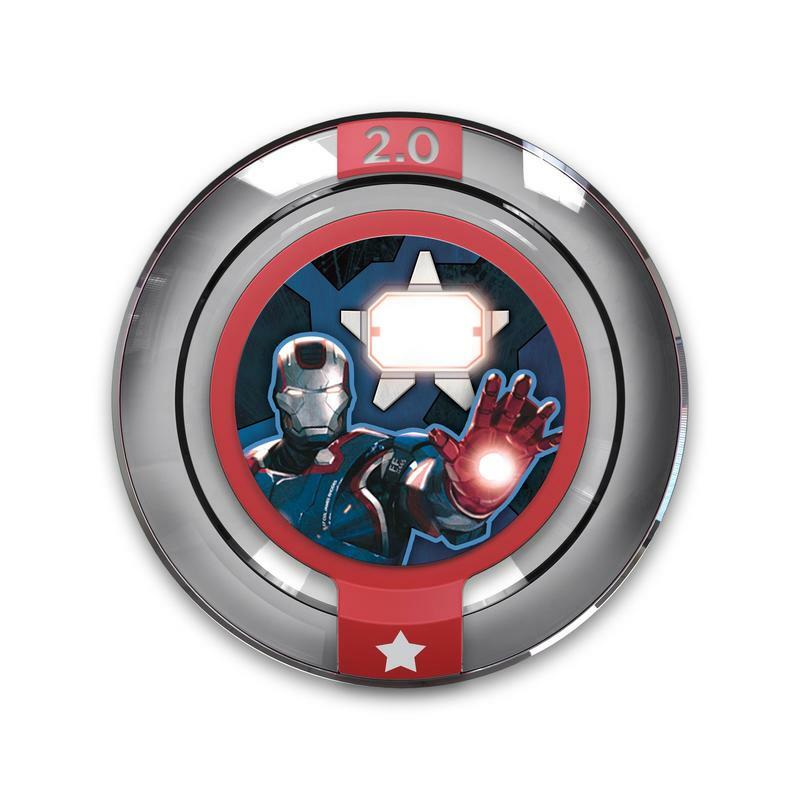 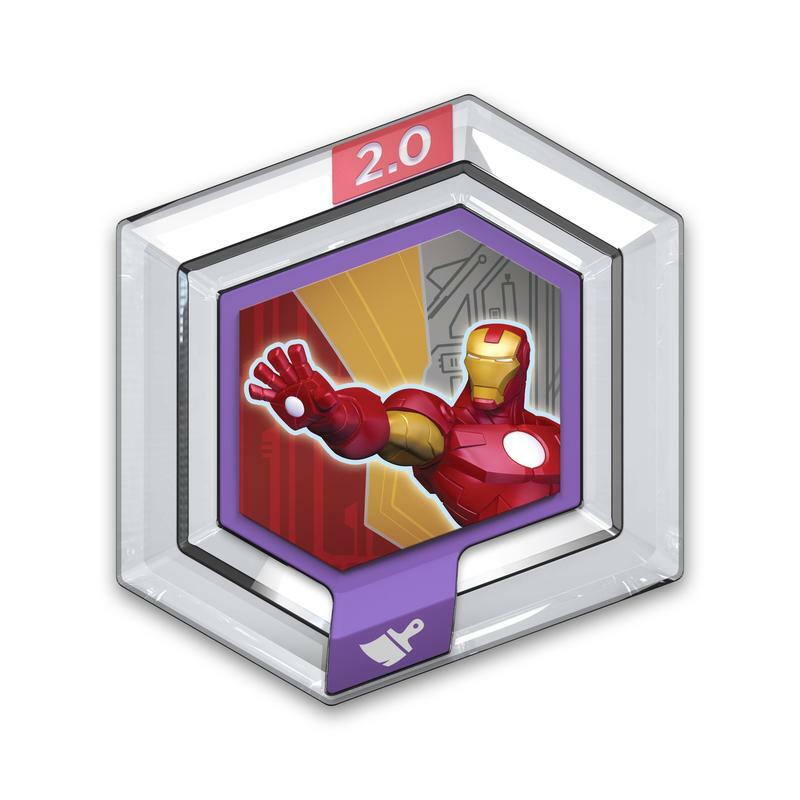 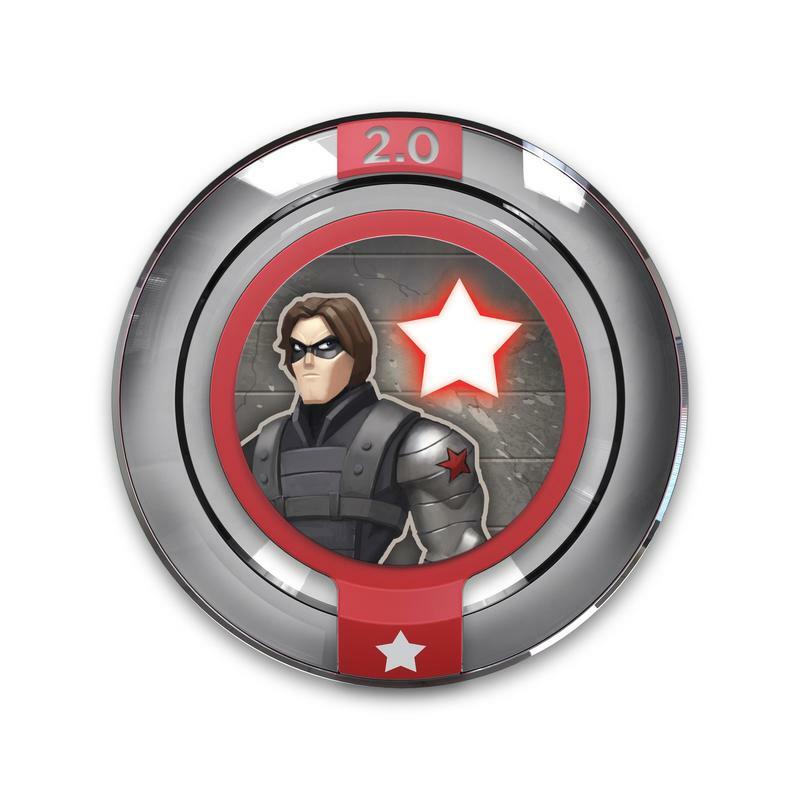 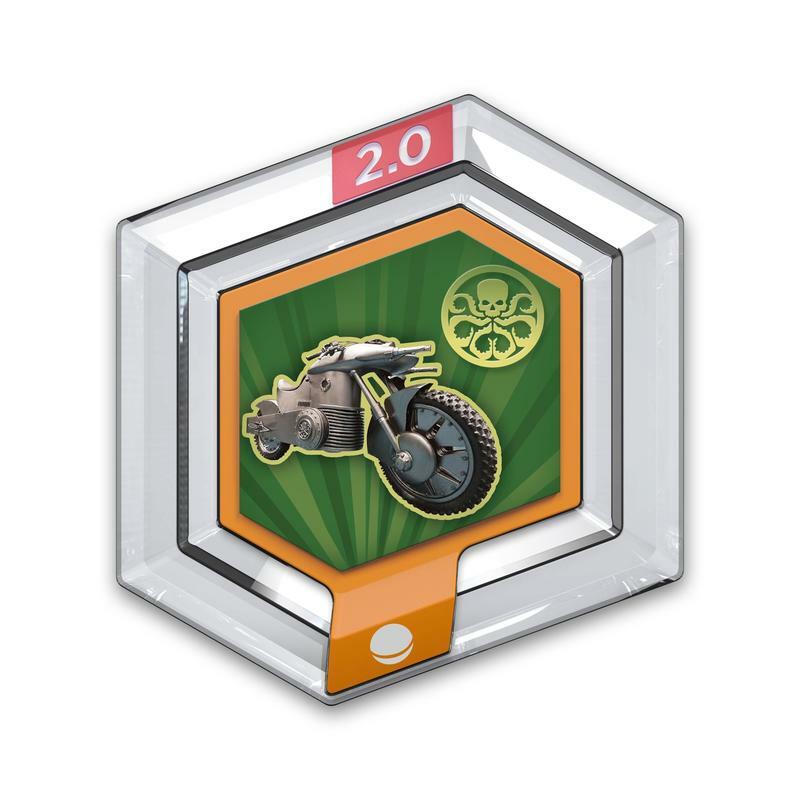 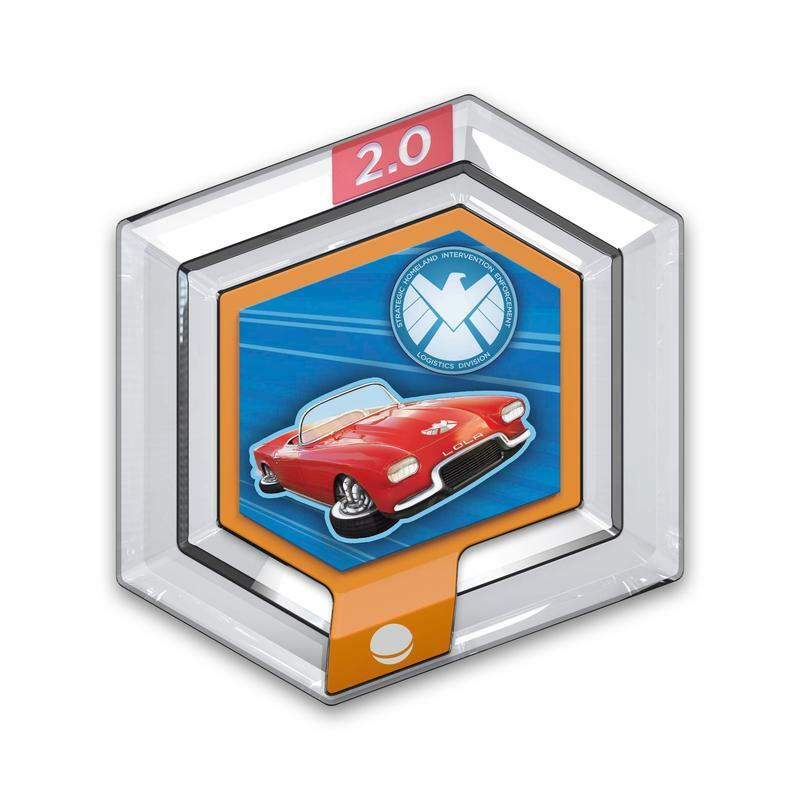 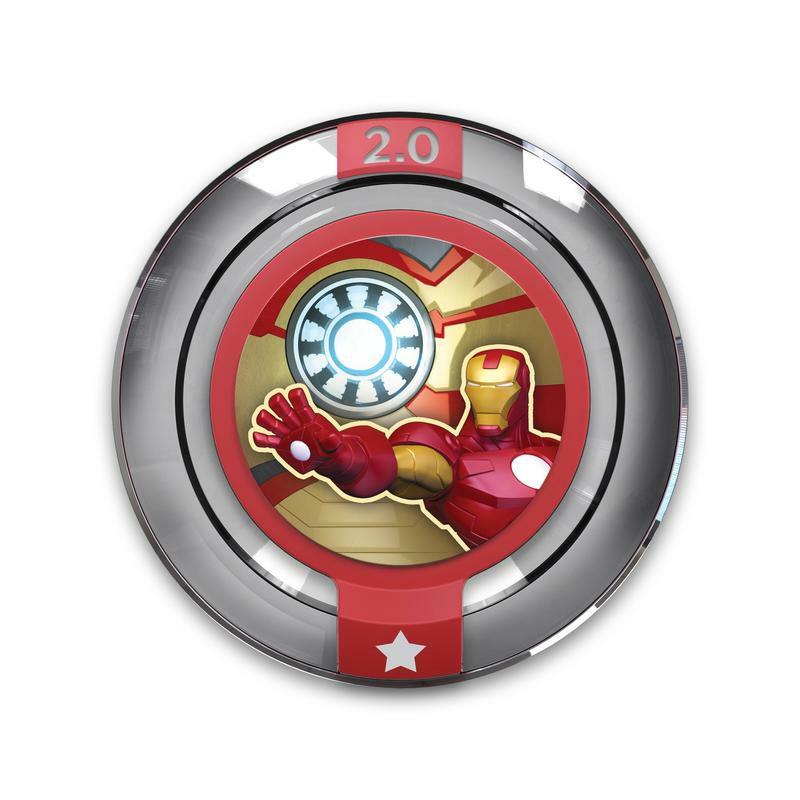 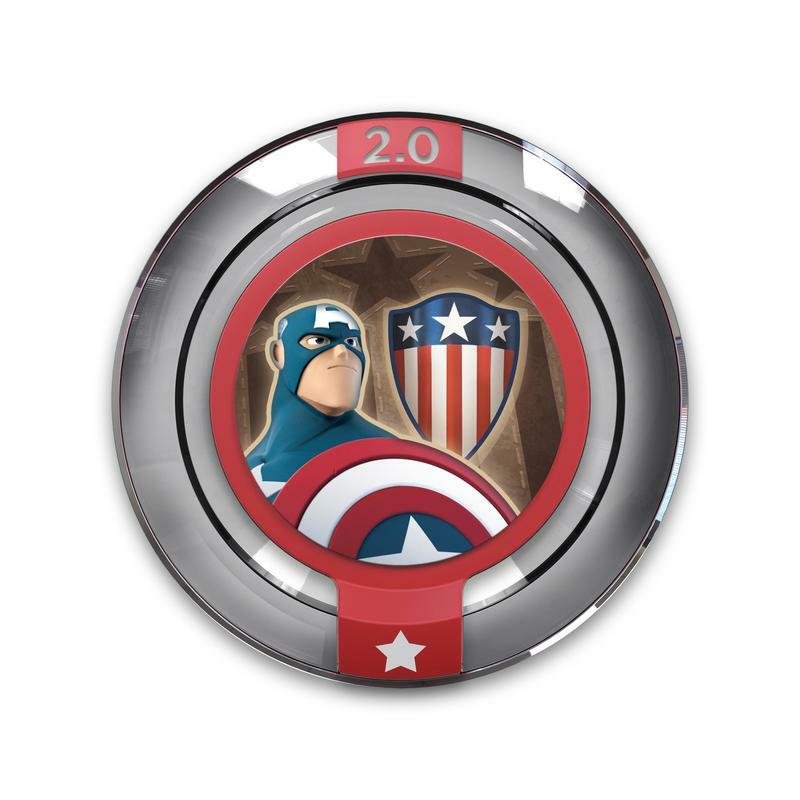 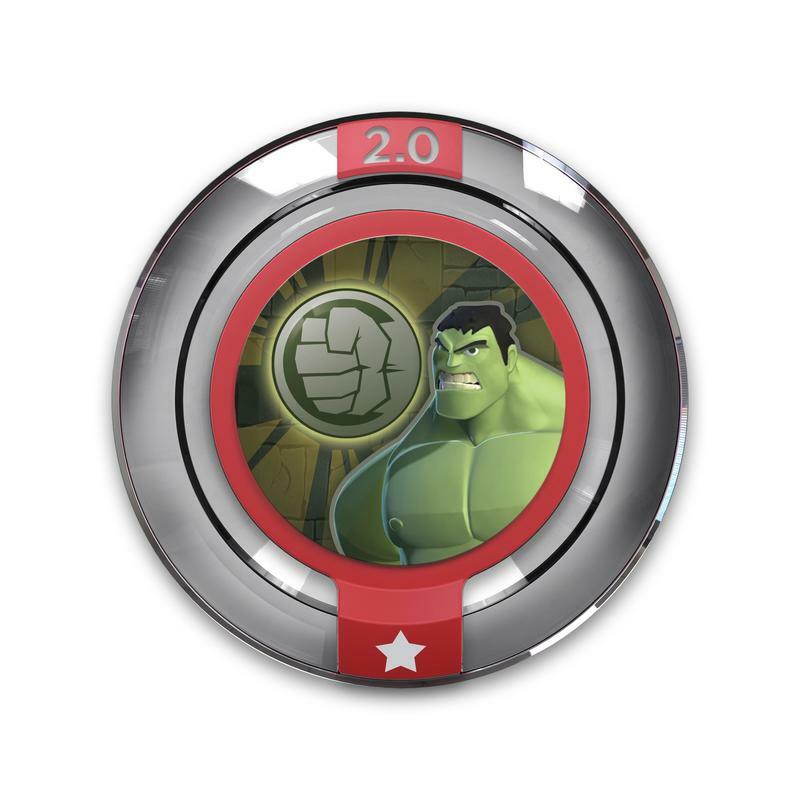 Power Discs will also continue on into Disney Infinity 2.0 with 80 discs planned over two release waves. 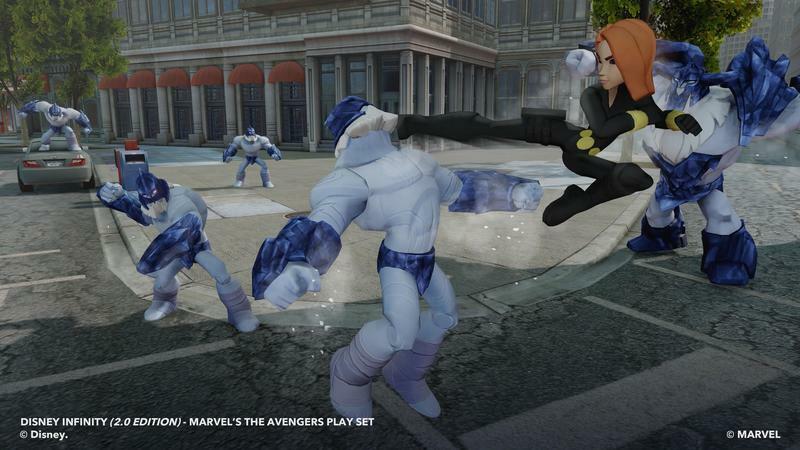 There will be some new types, including sidekicks and costume changes, alongside the established varieties we saw last time for environments, enhancements and vehicles. 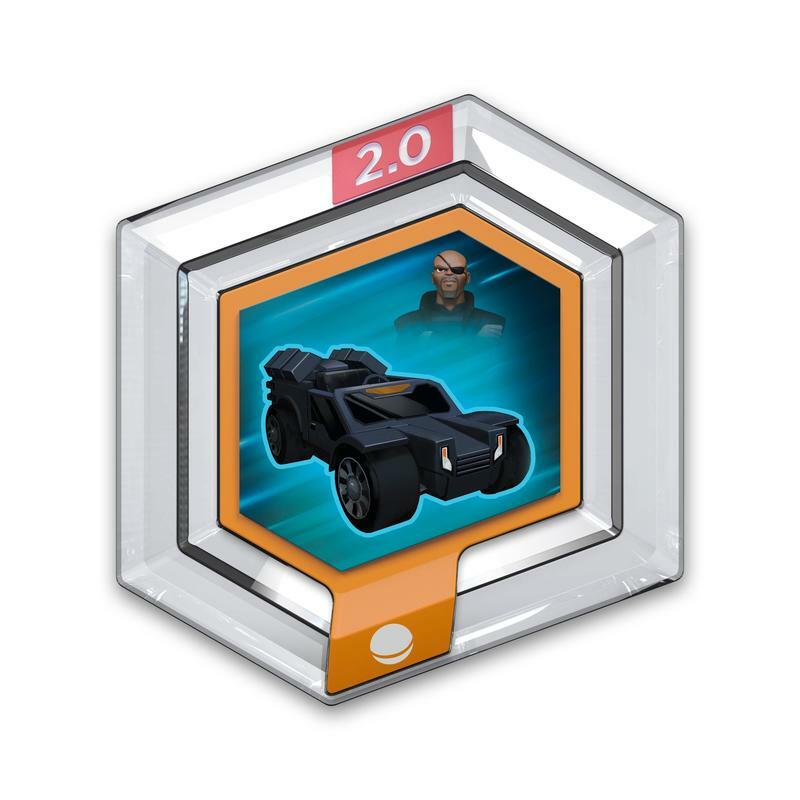 Motorcycles are also on their way. 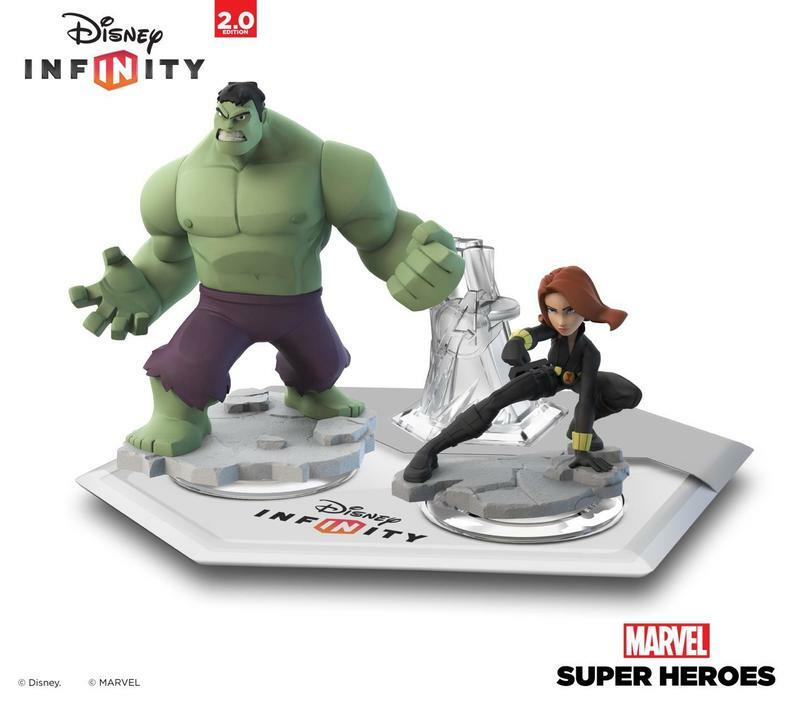 And for those who have been wondering: yes, Disney Infinity 2.0 will support all of the current platforms and will add support for the PlayStation 4 and the Xbox One. 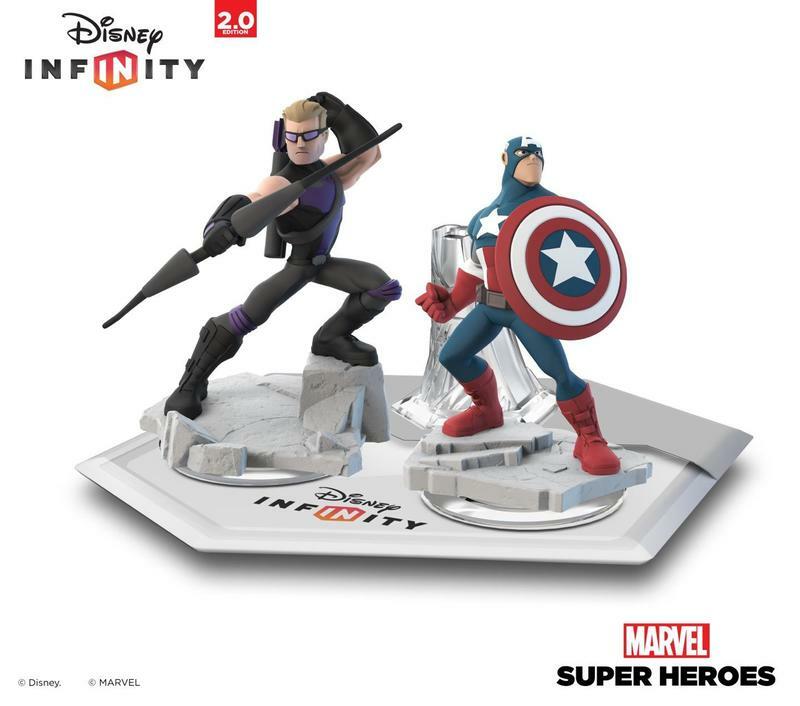 All in all it sounds as though the fans have been listened to and there are a ton of changes coming in Disney Infinity 2.0 when it launches this fall. 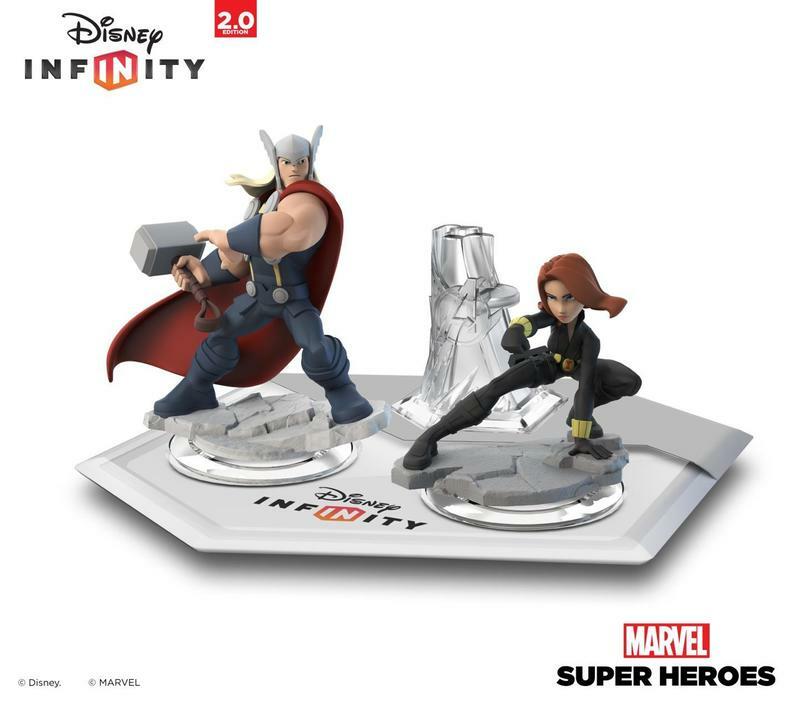 You can pick up a starter set if you like, which will come with Black Widow, Iron Man, Thor and two discs, or you can pick up the figures in a style similar to how you do so now. 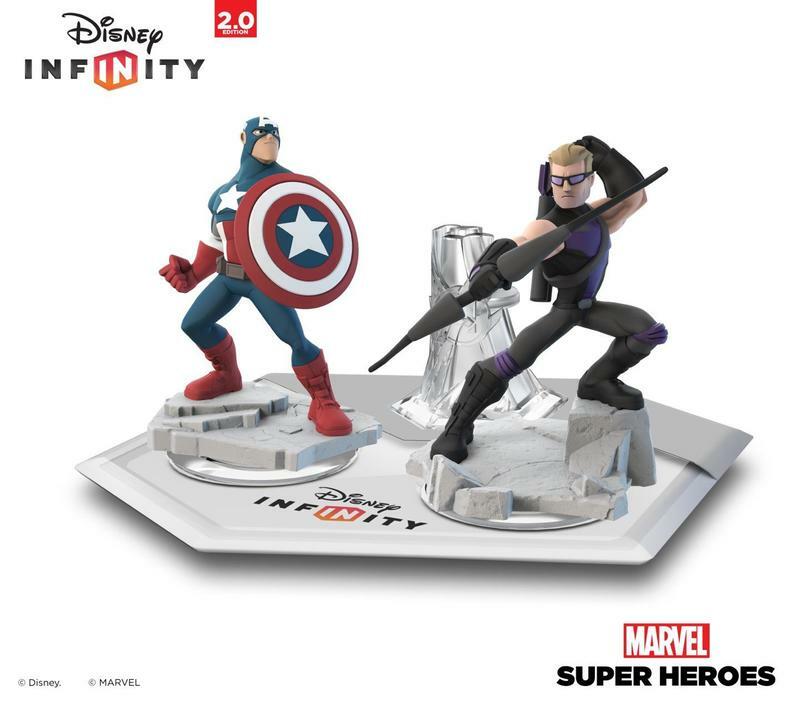 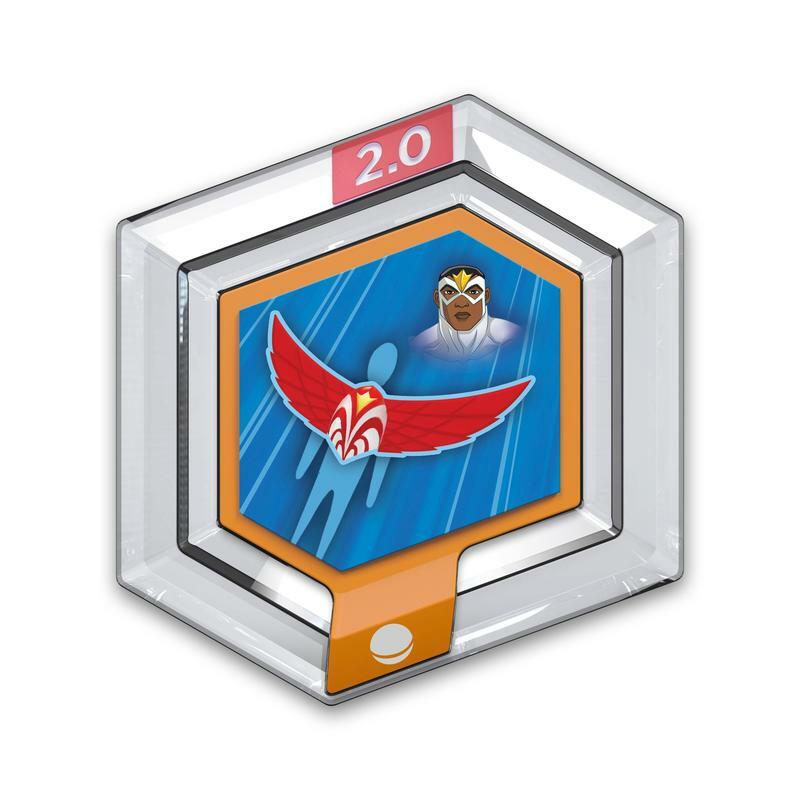 The starter pack will have a suggested retail price of $74.99, playsets will sell for $34.99, individual figures will cost $13.99 and the power disc packs will sell for $4.99. 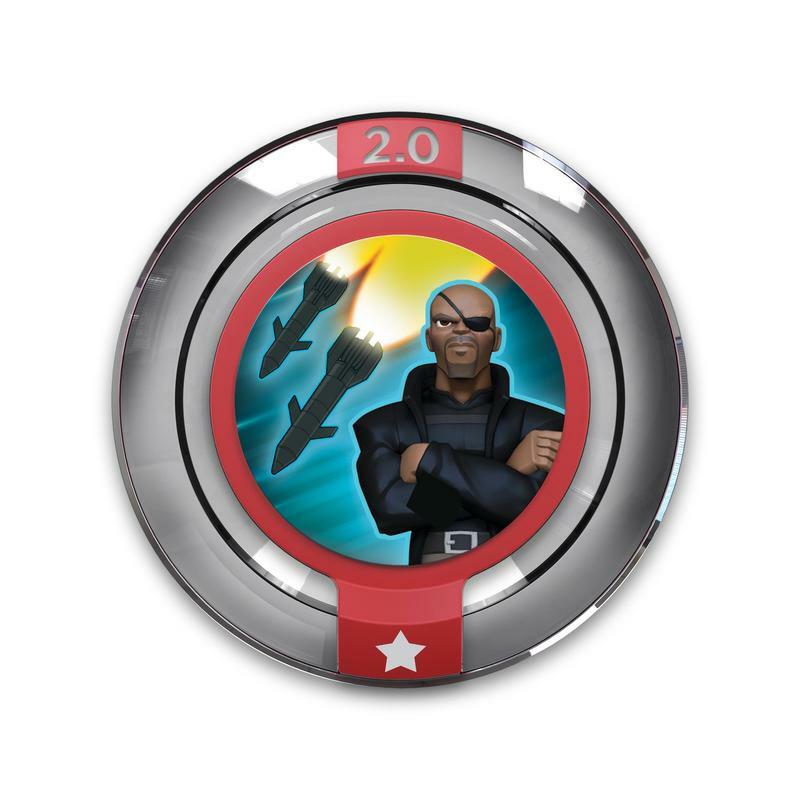 At the end of the presentation Samuel L. Jackson appeared on screen as Nick Fury and teased we will learn more at E3 in June, so stay tuned.